Six projects have been shortlisted for Greenham Trust’s Dragons’ Den-style public event in November. 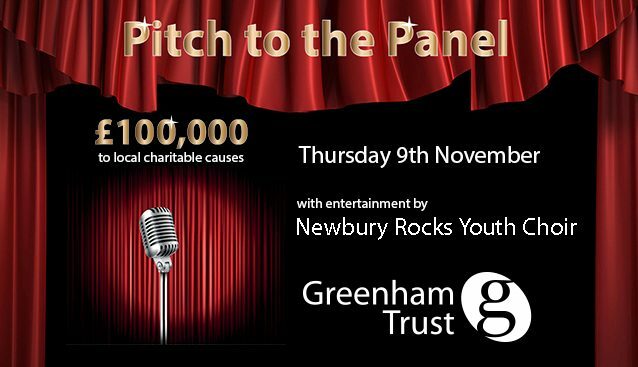 Six local charitable organisations from across West Berkshire have been shortlisted for this year’s prestigious Pitch to the Panel event, with the winners to be announced at a glittering event on November 9, alongside entertainment from Newbury Rocks Youth Choir. Now in its third year, the free to attend event, hosted by Greenham Trust, aims to celebrate and raise awareness of the excellent work being done by local good causes. After rigorous shortlisting, the six finalists will be given the potentially life-changing opportunity to pitch for a share of the £100,000 prize fund at the Corn Exchange finale. The Community Furniture Project is seeking £67,197 to pay for a mezzanine floor level above the existing shop. Receiving around 9,500 donations of furniture, electrical goods and household items every year, the shop would benefit from gaining extra display space. Dingley’s Promise, providers of specialist care for children with additional and special needs, are asking for £23,355. The funds would allow for additional training amongst early years practitioners enabling children with SEND to be included in mainstream playrooms. Seeking £25,629 is Hungerford Youth for its new kitchen. 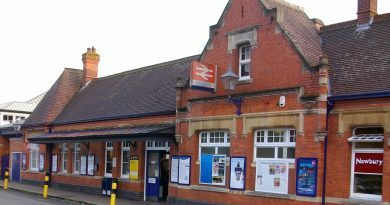 Built 50 years ago, time has taken its toll on the space which now requires modernisation in order to facilitate the many plans the centre has in mind. Flag DV, Free Legal Advice Group for Domestic Violence, will be pitching for £13,220 to contribute towards the costs of a part-time development worker. The position which would enable the promotion of Flag DV’s services in the community and raise awareness of domestic violence in West Berkshire. 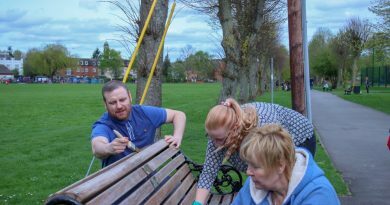 West Berkshire Homeless is looking for funding of £11,363 in order to get as many local homeless people as possible off the streets and into paid employment. In less than eight months, the charity has already helped twelve people realise this achievement. Also pitching are SeeAbility, requiring £10,386 for the refurbishment of its gym in Tadley. Plans to refresh the aging gym and install new equipment would provide individuals with the opportunity to develop their fitness at times to suit them, rather than attending infrequent sessions at the local leisure centre. Finalists will present their projects to the panel and a public audience, and, as the ’Dragons’ deliberate how much to award, the audience will be able to make their last vote and raise funds for their favourite project through the trust’s public top-up. The panel of four local business people includes: David Bailey, non-executive director, Greenham Trust; Andrew McKenzie, managing director, The Vineyard Group; Anne Murdoch, principal and chief executive of Newbury College and Andy Murrill, editor of Newbury Weekly News. “We’re delighted to be able to once again provide this fantastic opportunity for local charities. The event is a brilliant reminder of the work these organisations achieve, and it’s been very difficult to narrow it down to just six finalists. Online public voting is now open for projects via www.pitchtothepanel.com, with each vote being matched by a £1 donation from Greenham Trust subject to an overall maximum of £5,000. Tickets are now available free of charge and can be reserved via the Corn Exchange box office either online or by calling 0845 5218 218 or by visiting in person. 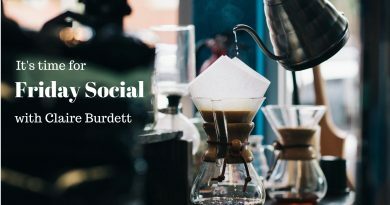 Friday Social Tonight, 8pm with Claire Burdett – Trend Spotting for 2018. Fri, 19 January 2018 Tony Hiller Comments Off on Friday Social Tonight, 8pm with Claire Burdett – Trend Spotting for 2018.